Just wanted to check in! Excited that I found this forum and to share my build as it come along. I bought it from my dad about 2 years ago and I still remember the day he bought it and drove it off the lot! Last edited by Colter_g35sedan; 04-10-2019 at 12:16 PM. Well welcome aboard sir, make sure to keep us posted on the progress, and grats on the car. Keeping the G in the family FTW!! She looks great and maybe I'm weird but I like the stock chrome wheels. Welcome and enjoy your stay here, watch out for the mod bug though. When it bites it can get brutal quickly. G for life. I like the stock chrome as well, I’m going to get some new ones that look pretty close to the stock. Great people here and its always great to get a new member and watch your progress with your new car. 07 G35 Coupe in Utah Former Member? 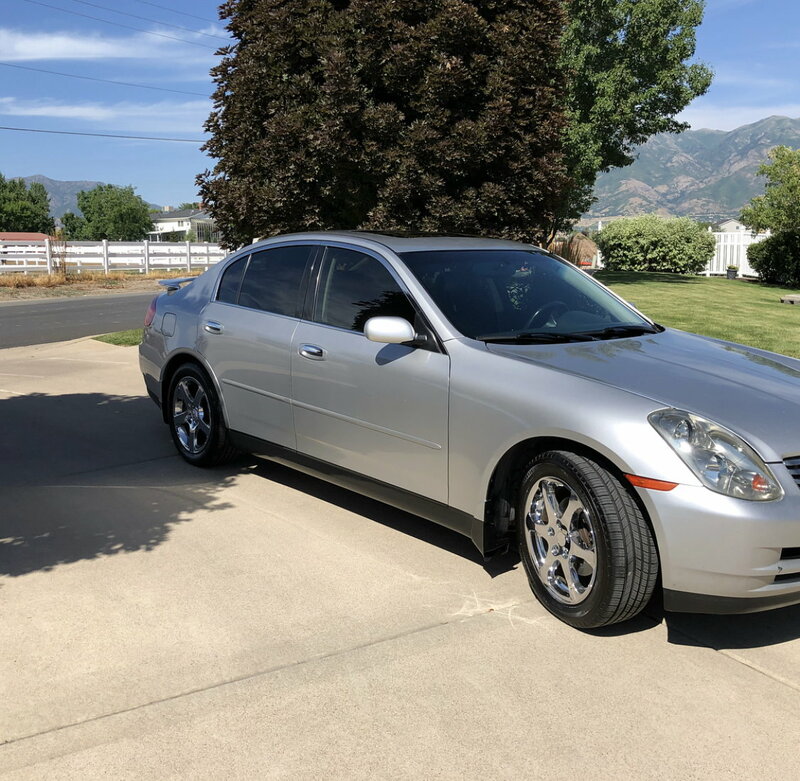 Any G35 owners in Utah?